GEORGE WASHINGTON HILL KNEW HOW TO SELL LUCKY STRIKES. .
American Tobacco Company’s George Washington Hill was dedicated - some would say fanatical - to making Lucky Strike the best selling cigarette in America. To do it, he created the most effective and expensive promotion that Network Radio ever knew. Hill's father, who preceded him as President of American Tobacco, had put the 32 year old George in charge of the Lucky Strike when the brand was introduced in 1916. He responded with the classic slogan It’s Toasted and opened the entire female market for smoking with Reach For A Lucky Instead of A Sweet - backing his print ads with endorsements from famous actresses and singers. 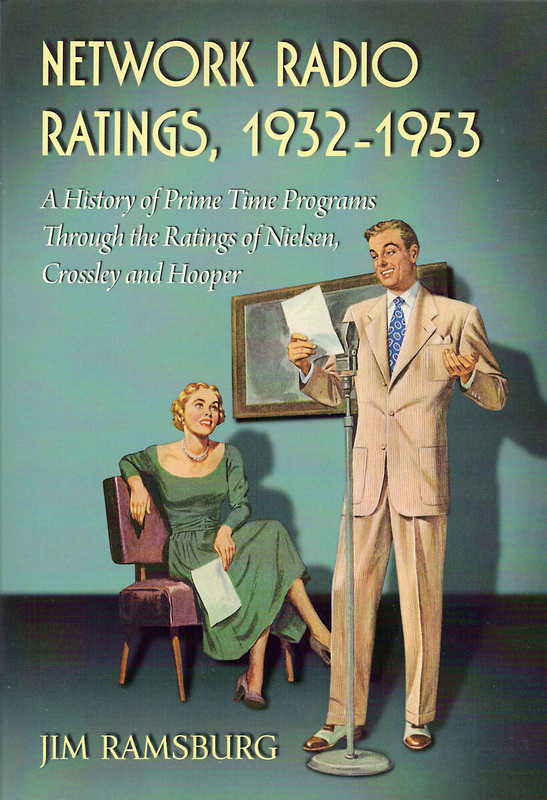 Network Radio Ratings, 1932-1953, lists three Top Ten programs sponsored by Luckies in the 1932-33 season, The Jack Pearl Show, The Lucky Strike Hour and The Lucky Strike Dance Party. 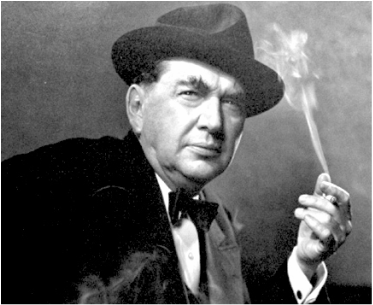 Then, for some reason, Luckies dropped out of popular prime time programming in 1933-34, opting instead to sponsor Saturday afternoon’s Metropolitan Opera broadcasts. But Lucky Strike sales lagged, ranking third behind R.J. Reynolds’ Camels and Liggett & Myers’ Chesterfields. Something had to be done, so Hill decided to rejoin the prime time race in April, 1935, with Your Hit Parade a weekly presentation of America's Top 15 Songs, (later Ten and eventually Seven), determined by an ongoing survey of sheet music and record sales, band leader and radio requests. Hill boasted that Your Hit Parade’s music surveys, administered by his Lord & Thomas ad agency, cost $1,500 a week to conduct. The program started slowly on NBC’s Saturday schedule at 8:00 p.m. - finishing in the night’s Top Ten but a tenth of a rating point behind the program it replaced, Sigmund Romberg’s operetta concerts. Yet, Your Hit Parade’s format was unique and climbed in the 1935-36 season from 33rd to 19th in the annual rankings. Then, all Hill broke loose. The flamboyant American Tobacco chief decided to make Your Hit Parade the vehicle that would put Lucky Strikes in the hands of every smoker or potential smoker in the country. He masterminded The Lucky Strike Sweepstakes - a promotion that made broadcasting and marketing history. It called for planning, lots of planning, and a massive budget beginning with a time buy made by Lord & Thomas for the late spring and summer months of 1936, normally the seasonal downtime for Network Radio when advertisers - including tobacco companies - abandoned the medium. Hill's saturation campaign began to unfold on April 22nd when Your Hit Parade with Al Goodman’s orchestra, and later Carl Hoff’s band, was moved from Saturday to Wednesday at 10:00 p.m. on NBC. * Then a second edition of Your Hit Parade featuring Freddie Rich’s popular group popped up on CBS at 10:00 p.m. the following Saturday night. Once Your Hit Parade was established in its new time slots in May, The Lucky Strike Sweepstakes was introduced. The May 27, 1936, NBC edition of Your Hit Parade contains commercials for the contest. Then came the next surprise. For 17 weeks - June 3 through September 29, 1936, American Tobacco placed Wednesday’s Your Hit Parade: on both the NBC Red and Blue networks, (87 stations), in addition to the 94 CBS stations on Saturday. American Tobacco’s weekly, 181 station, three network, bill was a reported $40,000 - totaling $680,000 for the 17 weeks. The multi-network blitz was unprecedented and it was all to promote the Lucky Strike Sweepstakes. The contest was very simple. Your Hit Parade listeners were challenged to pick the next week’s Top Three Songs in order on a postcard or a postage-paid entry card available at stores where Lucky Strikes were sold. Correct entries were rewarded with a carton of Luckies, a congratulatory note and a postage-paid entry card for the next week's contest. Non-winners received a postage-paid entry card plus a sheet of tips for predicting the winning songs. All entries had to be postmarked before midnight Sunday. To make sure they would be received in New York before Wednesday’s broadcast, entry cards sent by the company to East Coast addresses contained regular postage while cards sent to the Midwest carried first-class postage and those sent to the Pacific Coast had air mail stamps affixed. On June 15th, less than a month after the Lucky Strike Sweepstakes began, Broadcasting magazine reported that in just one day the company had received 80,350 entries and shipped out 10,220 cartons of cigarettes to winners at a mailing cost of $2,650. Then, to further increase the contest’s already overwhelming response on July 1st, Hill ordered an additional two entry blanks to be sent out to winners and non-winners that recipients could give to friends. After six weeks American Tobacco had distributed over 20 million entry cards requiring over 300,000 pounds of cardboard from a printing plant that had to hire an additional 39 employees to handle the workload. Lucky Strike retailers were handing them out at the rate of 250,000 per day and the contest was drawing over 250,000 entries a week, but was just a trickle compared to the five million a week that was to come. To handle the growing response, American Tobacco rented an additional 30,000 square feet of floor space for the 450 temporary employees working day and night shifts to process the entries and handle the incoming and outgoing mail. In addition, the U.S. Post Office assigned 40 clerks to the contest’s headquarters. By the week of July 27th the company reported its Sweepstakes workforce had increased to 1,300 and over the first two days of that week over 150,000 cartons of Lucky Strikes had been mailed to contest winners. To promote the contest even further in August, American Tobacco representatives around the country placed 20,000, six by four foot displays advertising Your Hit Parade in the store windows of Lucky Strike retailers. By September the Lucky Strike Sweepstakes was drawing over five million entries a week and over 200,000 cartons of cigarettes - at a product cost of a dollar each - were mailed out every week to winners. When the total number of free cartons reached 1,300,000, (13 million packs), George Washington Hill finally put on the brakes, switching the prize from cartons of 200 cigarettes to tins of 50 and the Lucky Strike Sweepstakes slowly faded away. Final tabulations from the promotion aren’t available, but this much is known. Industry reports indicate that Lucky Strike’s share of the cigarette market around this time jumped from 25 to 38% - an increase of over 50%. And, Your Hit Parade continued its twice weekly run on NBC and CBS through the 1936-37 season. Wednesday’s edition on NBC was 17th in the annual rankings and the CBS Saturday show was 24th. But the combined ratings of the two shows totaled 23.7 which would have placed Your Hit Parade a solid Number Two in the season’s rankings. Your Hit Parade became the sole possession of CBS in December, 1937, where it remained a Saturday night feature until April,1947, when it moved to NBC for the remainder of its 18 season run. The program evolved many times in its presentation and featured personalities over the years but It remained a popular favorite and - thanks to George Washington Hill - the centerpiece of the most elaborate promotion broadcasting has ever known. * As in Network Radio Ratings, 1932-1953, the NBC Red and Blue networks are simply identified as NBC and Blue.